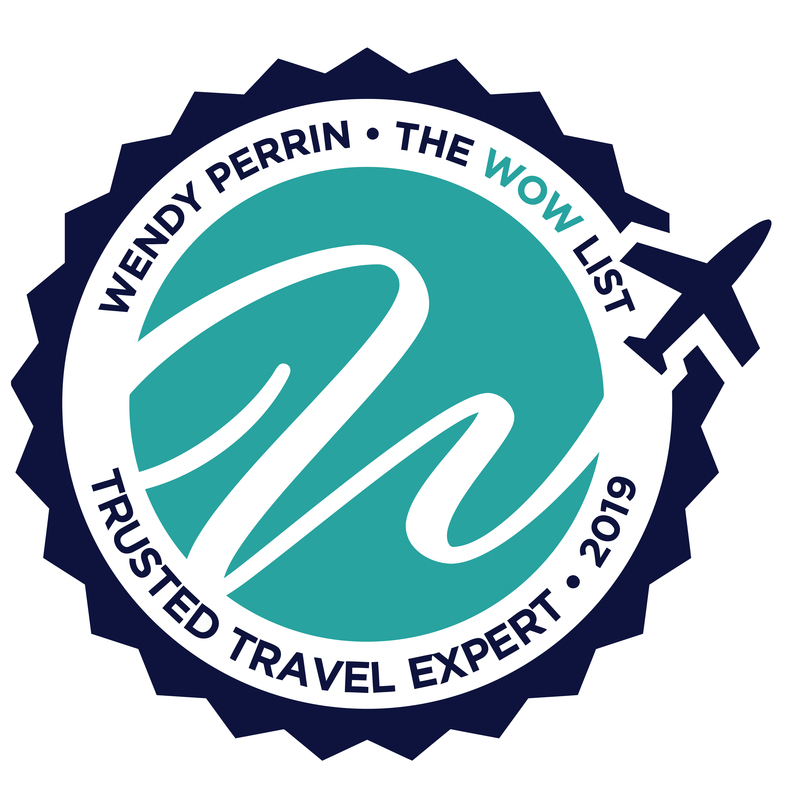 Nina Müller is on Wendy’s WOW List of Trusted Travel Experts for her expertise and connections as regards Switzerland. Don’t miss Nina’s Insider’s Guide to Switzerland’s Secrets. This is a much delayed review of our trip through Switzerland in September – October 2018. It was superb. My family can only say that it was one of the best — perhaps the best — trip we have ever taken. The guides we had were all first-rate: Albert Schoch who met us in Zurich; Andrea Matossi and Nicole Buess in St. Moritz; Anna Bezzola who gave us a simply marvelous walk through the Bavona Valley (I was so happy we included this in our itinerary); and Judy (I think this is her name — I didn’t get her card) in Zermatt. Thomas and Lin — proprietors of the Hotel Coeur des Alpes in Zermatt were perfect hosts. We were also very happy that we included La Sagne and its beautiful valley — where we met and visited with Simone Perrenoud. We must be related because our mother was a Perrenoud, and her grandfather came from La Sagne to America. We also visited the church in La Sagne where a number of Perrenouds are buried. I think the Hotel Palafitte in Neuchâtel was our favorite. The only change we would have made to the itinerary would be to have spent only two nights in Interlaken rather than three. The Jungfraujoch was spectacular, but we decided not to go to Murren and the top of the Schilthorn because that would have been somewhat a repeat of the Jungfraujoch. Instead we enjoyed a leisurely tour of Thun and its castle on the way to Neuchâtel. One less night in Interlaken and, instead, an extra night in Geneva would have been perfect. By the way, the only travel glitch we had was getting to the Hotel les Armures in Geneva. Our navigation system directed us to a street that was blocked by bollards. We did not know that if you drove up to the bollards, they would automatically go down. So we had to park on that street and call the Edel & Stark rental car person to come from the hotel and drive our vehicle to the hotel — which he did. But, as a result, we had no time to explore any of Geneva. In sum, the tour exceeded all our expectations, and once again we thank you both, Philipp and Nina, for putting it all together for us and making the excellent arrangements. We used Nina for our family trip (my husband and myself and 3 kids ages 18, 16, 11) to Switzerland this past June. She planned a great trip for us, with perfectly located hotels, and she was honest about when we needed a guide and when we could do things on our own. She suggested some fun things like a chocolate workshop in Bern, and hiking with a Swiss St. Bernard dog in Zurich. She was particularly helpful with kosher food — our biggest travel obstacle — and arranged to have kosher catering for us delivered to our hotel in Zurich, with the hotel warming it up. We would be happy to book with Nina again! Throughout our marriage, we have vacationed dozens of times in Europe, the Caribbean, Canada, and the U.S., and never felt the need for a travel agent. We’re old hands at clipping travel articles in magazines and newspapers and consulting travel guides. But Switzerland, we knew, would be different. The country overflows with magnificent scenery and boasts an extraordinary transportation system, but it’s also famously expensive for visitors. We were determined to make this experience the trip of a lifetime. We enjoy touring by ourselves and wanted to take advantage of Switzerland’s rail system. It was time to turn to experienced trip planners. We contacted Wendy Perrin. She suggested that we talk to Nina Mueller in Zurich. What a fortuitous suggestion that turned out to be! Nina, who phoned us to discuss our interests and expectations, and Philipp Kaegi, who worked closely with us to design the trip and answer our many questions, were outstanding and indispensable. The two-week-long tour turned out to be our best travel experience ever. Nina and her staff deserve all the credit. When we told Philipp that we planned to look for an ATM at the Zurich airport when we arrived, he responded with directions and maps for both the airport ATM as well as the ATM nearest to our hotel. He also alerted the guide who would meet us at the airport. When a receptionist at one hotel insisted that our stay did not include breakfast, though we thought it did, we emailed Philipp. In less than 10 minutes a hotel representative informed us that the hotel had received a call from Philipp. He said our breakfasts were indeed included and apologized that we had been misinformed. We stayed at five different hotels. All were excellent and met our requests for balcony views, breakfasts included, showers, and convenient locations. The complicated itinerary relied on a total of 15 tour guides, drivers and taxis to meet us at the Zurich airport, train station arrival platforms, and hotel lobbies. Remarkably, everyone showed up on time. Most arrived early and were waiting for us. We strongly suspect this resulted from frequent monitoring by the travel agency. Nina’s staff armed us with a Swiss Rail Pass, and we were off. The carefully designed train and tram instructions for each city were detailed to the point that we knew the schedule for each train, which tracks our trains would leave from, and when they were scheduled to reach their destinations. We also had information about the next trains in case we missed one. If we did miss a connection, we had emergency phone numbers to call. Thankfully, we never did. The tour began in Zurich, where Nina (“as a courtesy”) upgraded us at the fine Hotel Marktgasse to a junior suite with roof terrace and a view over Zurich. What a way to start! The fondue and wine Tuk Tuk tour were delightful, thanks to our charming and knowledgeable guide, Attila, who seemed to know half the citizens who waved as we drove by. Britta Nydegger was outstanding during our day trip to St. Gallen, focusing on the Cathedral, and the magnificent Abbey Library. We learned much about this fascinating city. Our days seemed to get better and better. We enjoyed the tour of Basel with Rose Marie Schulz-Rehberg. She’s a delightful person, warm, friendly, and so knowledgeable. Again, we couldn’t have had a better guide. We loved Basel. Marie Therese Lauper was lots of fun and extremely impressive. We learned about the mechanics of the Bern tower clock, her work at the Cathedral, and her role as the “keeper of time.” She gave us an excellent grounding in a very short time span. During our stay in Montreux, Nicolas Abundo outdid himself guiding us through Gruyeres. We enjoyed meeting his friends Gerard and Aurelie at Aurelie’s chalet and farm. They gave us a tour of the farm and explained the fascinating traditions of cheese making. We had a lovely midmorning coffee with them (including double cream and chocolate). Nicolas also chose an excellent restaurant at the Gruyeres Castle for a delicious raclette lunch. Later in the day, he took us to the medieval Tower Marsuns for a wine tasting in the heart of Lavaux wine country. We couldn’t have had a better day. The next day, we spent a memorable morning visiting Tolochenaz, the village where Audrey Hepburn lived for the last 30 years of her life. Our driver, Carlos, was very helpful taking us to the sites associated with the actress. Nina’s team made the experience even more memorable by reserving lunch for us at the beautiful Chateau d’Ouchy and making reservations on the Lake Geneva restored belle epoch boat back to Montreux. Sylvia Fournier met us in Sion on a very warm day and gave us a fascinating tour of the city— the cathedrals, old town, Roman inscriptions, and history. She accomplished a lot in a short timespan. Julie Guidotti was wonderful. Meeting us at in Brig, she scooped up our luggage and accompanied us on the outstanding centovalli train. She told us all about Switzerland’s Ticino area and made sure we arrived safely in Ascona. We had a beautiful day for a private boat ride on Lake Maggiore. Vincent, our captain, walked us to the boat dock and we took off, enjoying champagne toasts halfway through the ride. No rough waters, just great views. Vincent made sure we took in the delights of the lake. The Gotthard panoramic rail route was amazing. We can’t imagine how that railroad route was constructed. What an engineering and construction feat! We loved the boat ride to Lucerne. We had a beautiful ride on the lake and an excellent lunch. Like so many details involved in this trip, Nina ensured that we had a reserved table for lunch. Cristina Tschuppert met us at the boat dock. While walking us to our hotel, she told us about Lucerne, its history, wonderful bridges, and the River Reuss. We saved the best for last. How can we describe our trip to Stanserhorn? Its beauty is beyond description. We had gorgeous weather and clear views of the surrounding mountain ranges. The funicular and astounding open-air cable car were great fun. Again, another engineering marvel. We didn’t want to leave Stanserhorn. In the afternoon, we walked to Lucerne’s incredible Rosengart Museum and had a lovely time among the dozens of Picassos and Klees. We’re glad to be home, but we already miss Switzerland. What a fantastic experience it was. Thank you, Nina and team. And thank you, Wendy Perrin, for introducing us to them. Nina really listened to what we were looking for during our vacation. She came up with a few itineraries and then we chose one. She had great ideas for tours and other fun things. During the actual trip, everything went super smoothly. She made is very easy for us to sit back and relax. the guides we had were knowledgeable and nice people we were happy to spend time with. We had a wonderful trip to Europe and have Nina and her team to thank for much of it! Originally we were planning to go to Switzerland but when plans changed, Nina’s team was knowledgeable and also able to use their contacts in other cities to find us great hotels, restaurants, activities and a guide. Nina and her co-worker Yumi were in touch right away and had great ideas right from the start. When our plans abruptly shifted they shifted right along with us. Their answers to my many questions along the way of the booking process were complete and with care. My only issue was that the time differences delayed our communications. Nina and Yumi recommended fantastic hotels in Copenhagen, Hamburg, and Amsterdam and all 3 greatly added to our trip enjoyment. They were all unique, service and locations were terrific. Hopefully, we will finally do that trip to Switzerland and I would not hesitate to contact Nina and her team. Nina planned a great trip for us, with perfectly located hotels, and she was honest about when we needed a guide and when we could do things on our own. She suggested some fun things like a chocolate workshop in Bern, and hiking with a Swiss St. Bernard dog in Zurich. She was particularly helpful with kosher food – our biggest travel obstacle – and arranged to have kosher catering for us delivered to our hotel in Zurich, with the hotel warming it up. 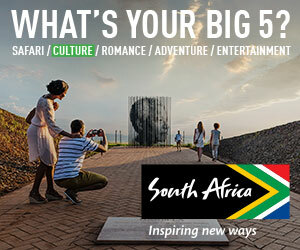 Wendy, thanks again for your travel advice — I love your website and use it for every trip! I absolutely loved working with Nina initially, and Philipp throughout, for our December 2017 holiday trip to Switzerland. We started planning several months in advance; they asked all about my family (my husband and I have three boys ages 8-16) and we hoped to experience on our trip. We wanted to ski for a few days, and then explore other parts of the country for another few days. Specifically, we wanted to visit Zermatt and Schaffhausen and were open to any other suggestions. They had fantastic suggestions! We loved visiting a medieval castle and Christmas market on the shore of Lake Geneva, the cities of Zurich and Luzern, and the famous Rheinfall in Schaffhausen. Philipp arranged our hotels in Zermatt and Zurich, and both were absolutely perfect. I would definitely stay again. I asked Philipp to make our restaurant dinner reservations in Zermatt, and each choice was fantastic. I would highly recommend Nina and Philipp, especially if you want to fit a lot into a relatively short amount of time. I felt that we got the most out of our trip and I would never have been able to coordinate that on my own. The itinerary they gave us was detailed and easy to understand; I was amazed at how smoothly everything went. Thanks to Nina and Philipp we had the family vacation of a lifetime.